In 1862 in the region of Roquemaure on the right bank of the Rhône, a wine merchant named M.Borty planted a few vines that came from the American continent. These were sent by his friend M. Carle, who unwittingly became responsible for the greatest viticultural disaster in the history of wine. In the two succeeding summers Borty's Grenache and Alicante plants began to turn yellow and gradually died out. It is estimated that by the end of the following decade 50% of the French vineyards were destroyed by an insect that was transferred by the American plants. Its name was phylloxera (dried leaf in Greek). The book by Christy Campbell, Phylloxera, describes what followed in great detail. Various methods were proposed to deal with it. Efforts to eradicate and burn the plants were crowned with failure. In 1868, the botanist Jules-Emile Planchon identified a very small insect, only 3 mm in diameter, which was responsible for the disaster and had some kind of relationship with America. A few years later a Missouri entomologist discovered the insect in the roots of American vines and came to France to prove the correlation. In 1874, a decade after the first outbreak, there was still no solution to the problem. The French government offered a reward of 300,000 francs to anyone who presented an effective remedy. In the following year, grafting of vitis vinifera on American rootstocks started showing some promise. 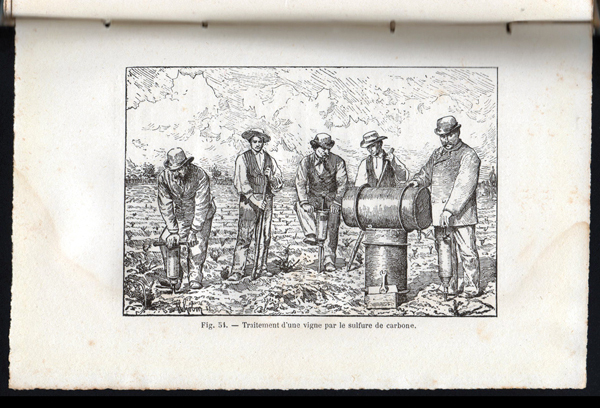 Finally, in 1884, the scientific community acknowledged that grafting on American vines was superior to the use of pesticides, which had proved to be a primitive and expensive way of dealing with the pest, at a cost of about 175.50 francs per hectare. In the 1990s it was estimated that 85% of the world's vineyard was planted on American rootstocks. Some vines, however, in an almost mysterious way survived and escaped this disaster. This happened either because of the composition of the soil or because they were geographically isolated from the outbreaks. So, some plants remained healthy on their own roots (franc de pieds) giving us some of the world’s richest and most astonishing wines. 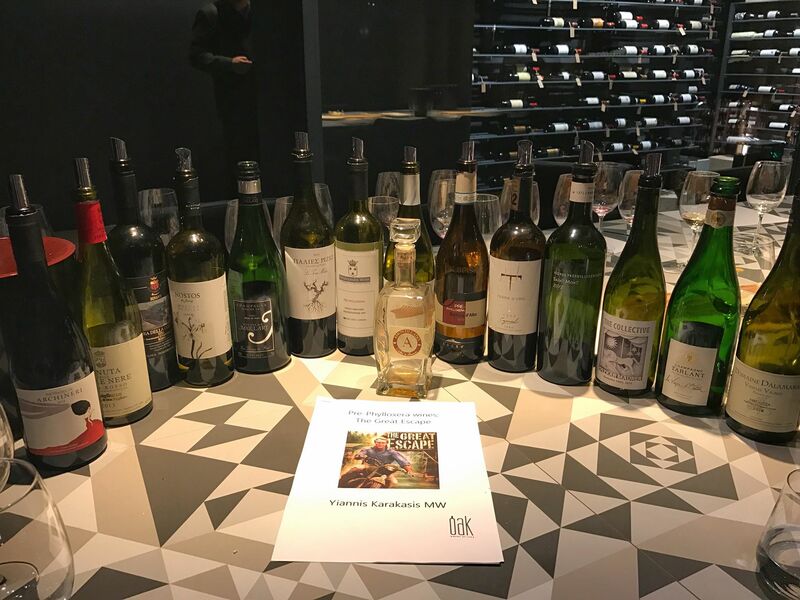 What are the features these wines possess and in what way are they different? Traditionally, as Benjamin Lewin MW notes, the prephylloxera vines were planted very densely with 14,000 plants per hectare. Also due to their old age, the vineyards were less productive. So, on the one hand there were the extremely high vine densities, which in poor soils create conditions of competition for the plants, and on the other hand there were very old vines with less fruit. Both are considered to raise the quality of a wine. This is the theory; reality definitely corroborates the theory, from what I have tried so far. The wines have unprecedented class, without sacrificing their power. Especially in the tannic varieties they express depth of fruit and deliver a delicate balance. Often, they also stand out for their floral expression. They are definitely different and totally charming. 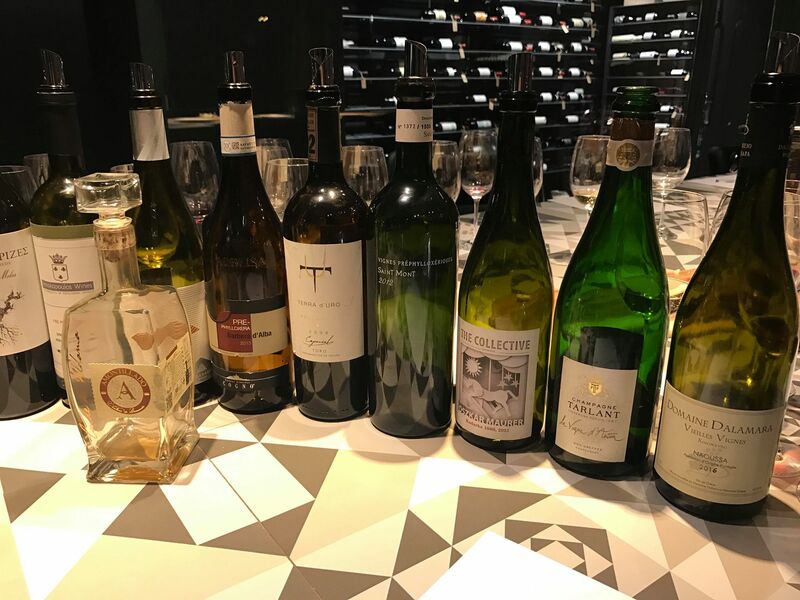 Wines that are classic, rare, elegant, but confident.Recently, for the second time, I had the pleasure of organizing a tasting with these rare wines. 15 wines in total, which for the most part showed character, depth of fruit, finesse, but also power. Moving on to the reds, Maurer Kadarka 1880 2013 from Serbia, planted in 1880 and in 1912, showed that it is a very well-crafted Kadarka, with quite sophisticated aromas and with good complexity; the aromas are reminiscent of chocolate and tea, as well as sage (88/100) while Elvio Cogno Pre-Phylloxera Barbera d'Alba 2013 had mainly aromas of balsamic and sweet perfume, but was not particularly impressive (89/100). The first two wines from Greece were a Liatiko from Crete and an Agiorgitiko from Nemea. Crete has many pre-phylloxera vineyards since the insect appeared only in 1984 and Lyrakakis, Liatiko Angelis was concentrated and firm, characteristics not typically expressed by the variety (91/100). The second of the series was the La Tour Melas Vieilles Vignes Agiorgitiko 2013 from a vineyard of 0.45 ha showed wonderful violet scents, dense yet crunchy black fruit and such fruit concentration that it could be knifed through, without sacrificing its finesse (92/100). Two more Greek were handed the baton. First of all, the unreleased Dalamara Vieilles Vignes 2016, which contains about 25% of the prephylloxyric vines of Paliokalias and showed sensational intensity and a nose expression that I can still smell - peppermint and particularly minerality (93/100); very similar on the palate with almost perfect tannins for a Xinomavro. The wine from Petrakopoulos Wines was also very promising; a Mavrodaphne from 60 years old vines in Palliki, Kefalonia. The wine has the name MOV Prephylloxera and will be released in about 1,000 bottles. Purple colour with dense black fruit, bacon and smoke on the nose. Full and rich in the mouth with high intensity and length indicates that Mavrodaphne is capable of greatness (92/100). 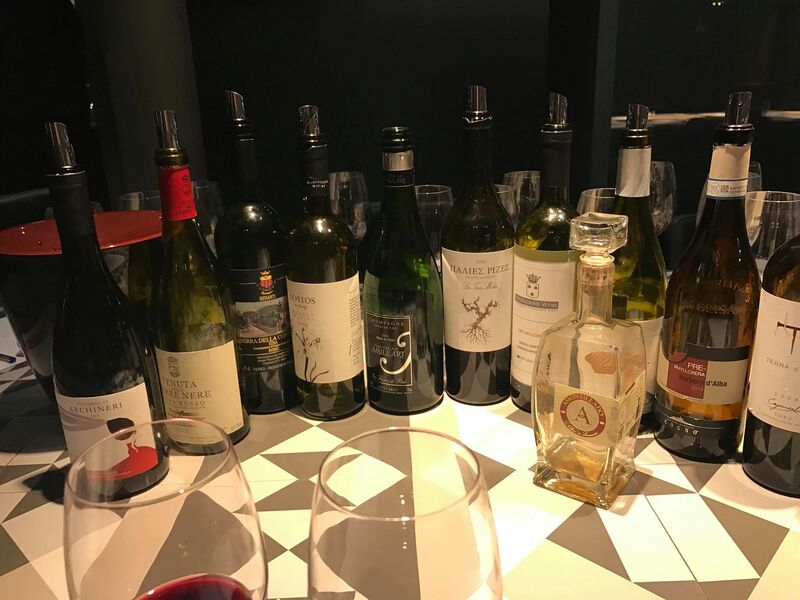 The last flight had a wine from Spain in the Toro area that came from vines over 140 years old, Terra d'Uro Seleccion 2008 (91/100), the incomparable Plaimont Vignes Prephylloxeriques 2012, made of Tannat (92/100), from the region of Saint-Mont, France and a rare Sherry, the Amondillado Conde de Aldama. The Aldama family sealed its best barrels with plaster to protect them from the phylloxera that reached Jerez in 1888. These barrels were opened in 1927 when the family began to have financial issues and had to sell. Until its takeover in 2001, the wines had been left untouched for over 120 years! A sherry that is pure liquid history and experience. Wines from pre - phylloxera vines never cease to amaze me, so I look for them whenever I can and wherever I find myself. I am also amazed at the fact that there are many such vines in Greece that have not been given their rightful position yet.